I jest, of course. 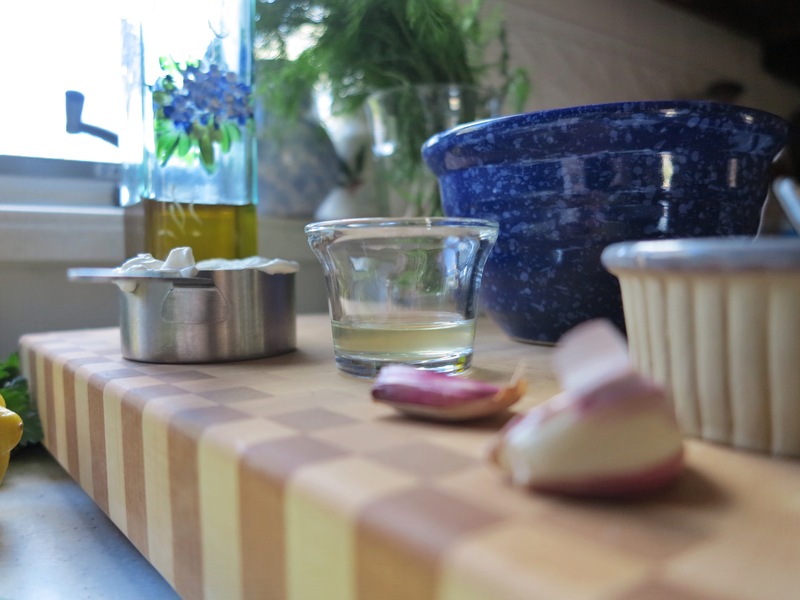 I’m always happy to take over help out in the kitchen and my mother knows how to plan a delectable and well-balanced menu (she also buys me my ingredients when I’m home, love you Maaaahhhhhm!). Plus when do I not want to make one of Ina Garten’s recipes? 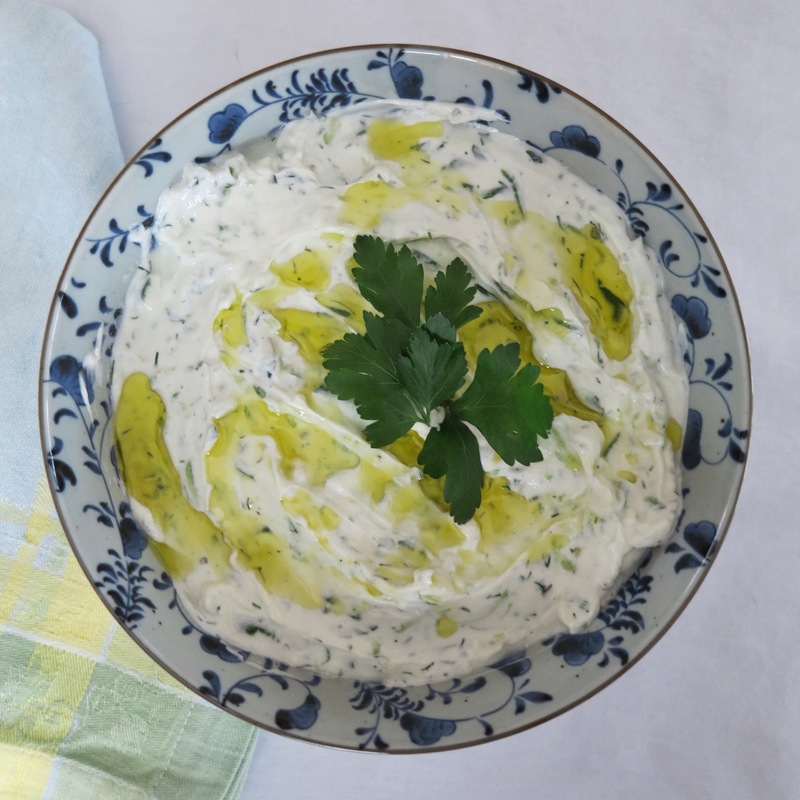 When I got home on Saturday, I took a breath, ate a cookie or two, and plunged into an afternoon of Easter food preparation, starting with tzatziki. 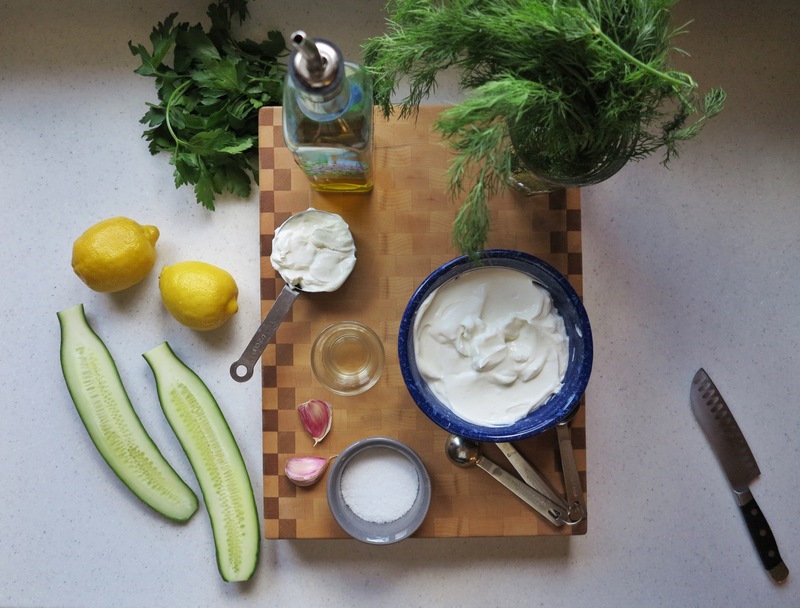 Tzatziki is a Greek yogurt and cucumber sauce. 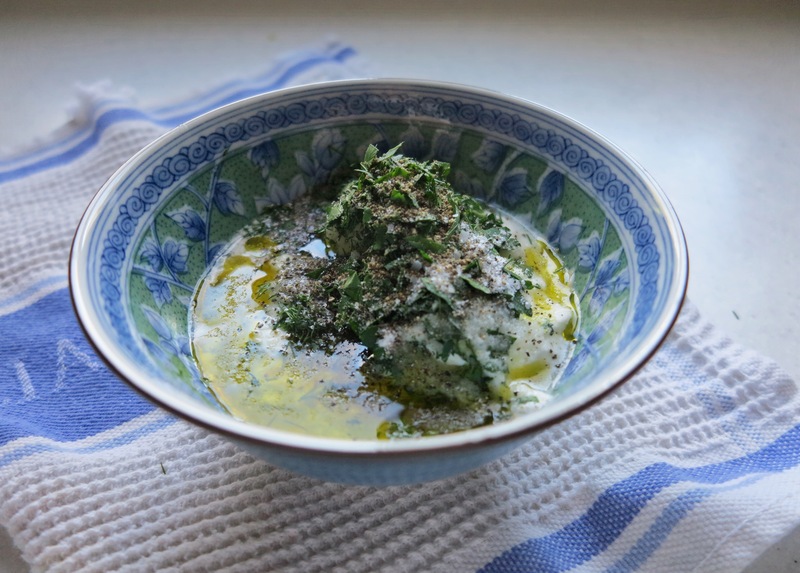 It’s wonderful served with toasted pita, fresh vegetables, falafel, and meats. This particular batch was intended to accompany a grilled leg of lamb for Easter dinner. Because I think a thicker sauce would go better with the lamb (and since I had time), I used Ina’s traditional tzatziki recipe. 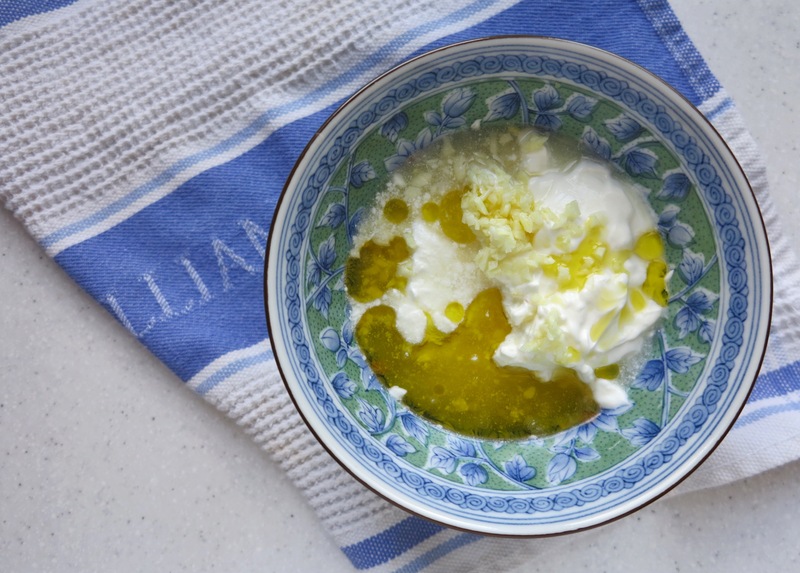 This is not to be confused with her easy tzatziki recipe (Oh Ina, you’re always looking out for us, offering us options and everything!). 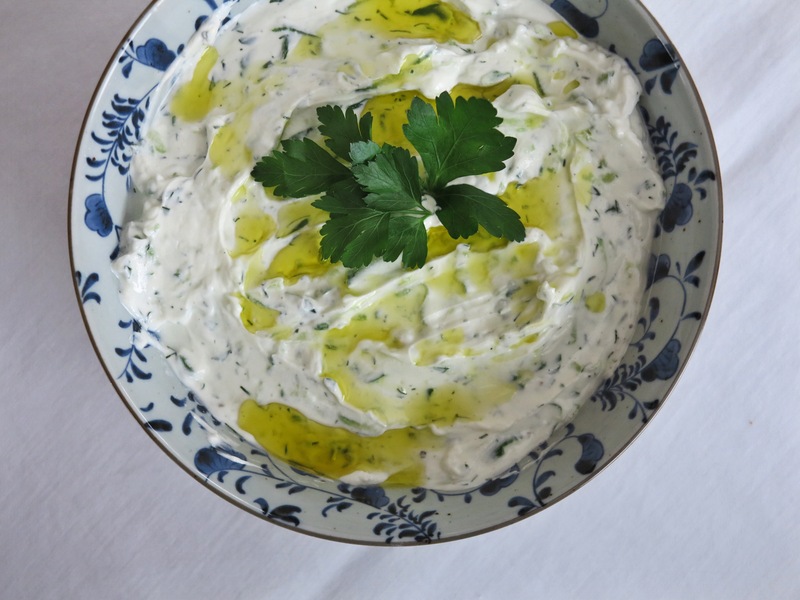 The “easy” tzatziki is a little thinner because you don’t drain the yogurt and the cucumbers, which I think lends itself better as a dip for pita and vegetables. 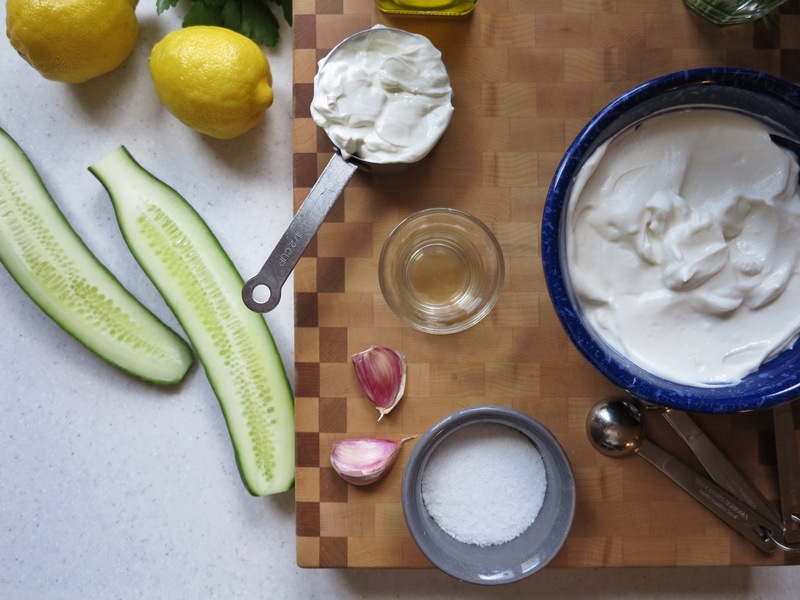 This one takes a bit of forethought because both the yogurt and the cucumber need about 3-4 hours or even overnight to drain, but the results are delicious and like I said, it goes with so many things. I’m kicking myself for not bringing some home to Brooklyn to have with hummus and pita. Oh well, looks like I’ll just have to make more! 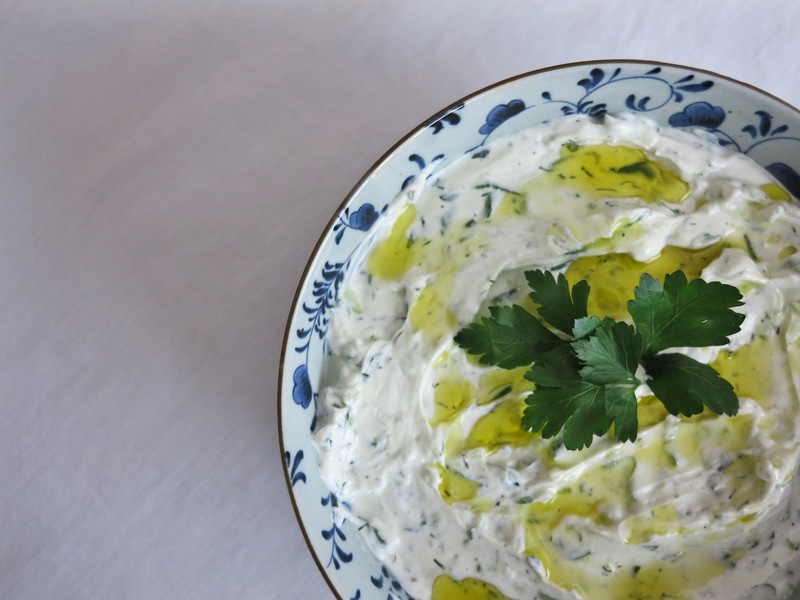 Tzatziki is one of those perfect warm weather dishes because it’s so fresh and it goes well with other fresh foods and grilled meats. 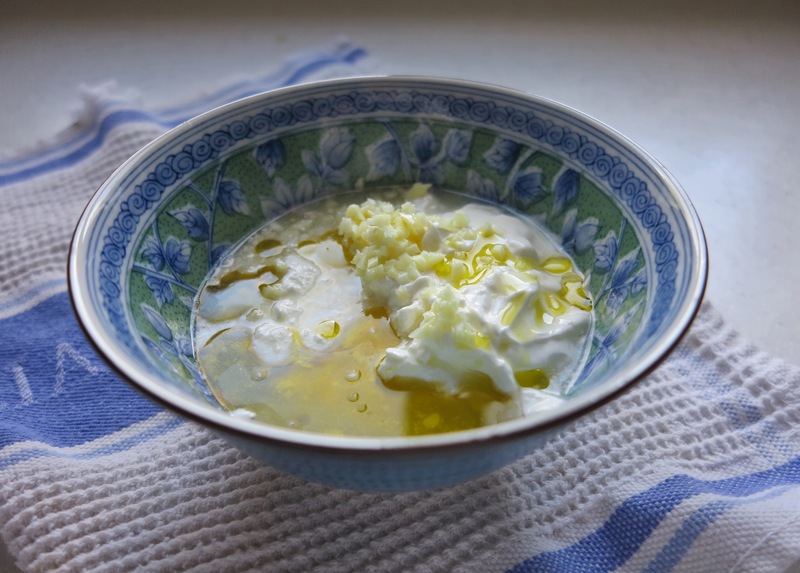 It wasn’t quite warm enough to sit on the porch this weekend, but as I was making the tzatziki, I looked longingly outside, envisioning the upcoming days when I can plop down on a chair, kick my legs up on my parents’ mosaic table, and feast on cheddar-y popcorn and drink crisp white wine. Soon, y’all…soon. Until then I’ll be making more adult decisions, like how much cheese to top my pasta with and what time to go to bed. Opa! 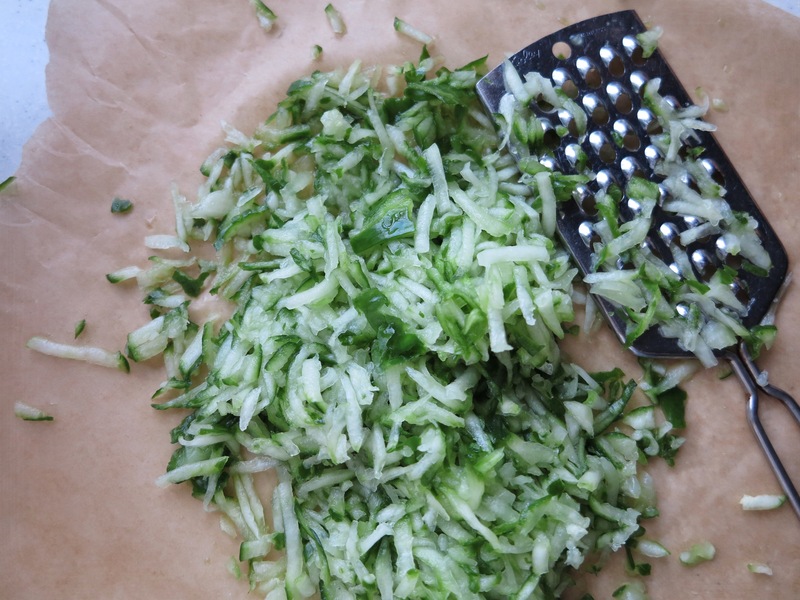 Grate the cucumber and toss it with one tablespoon of kosher salt. Line two medium sieves with cheesecloth (or paper towels) and place the sieves over bowls. Place the yogurt in one sieve and the cucumber in the other. 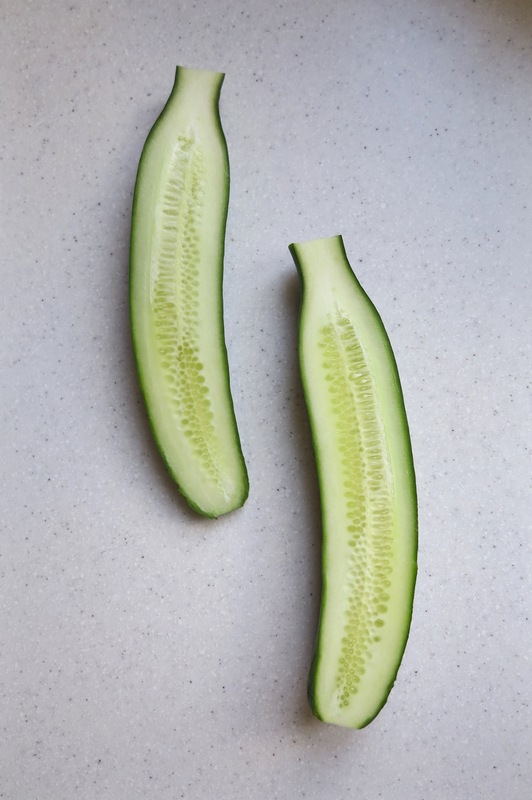 Place both bowls in the refrigerator for 3-4 hours so the yogurt and cucumber can drain. 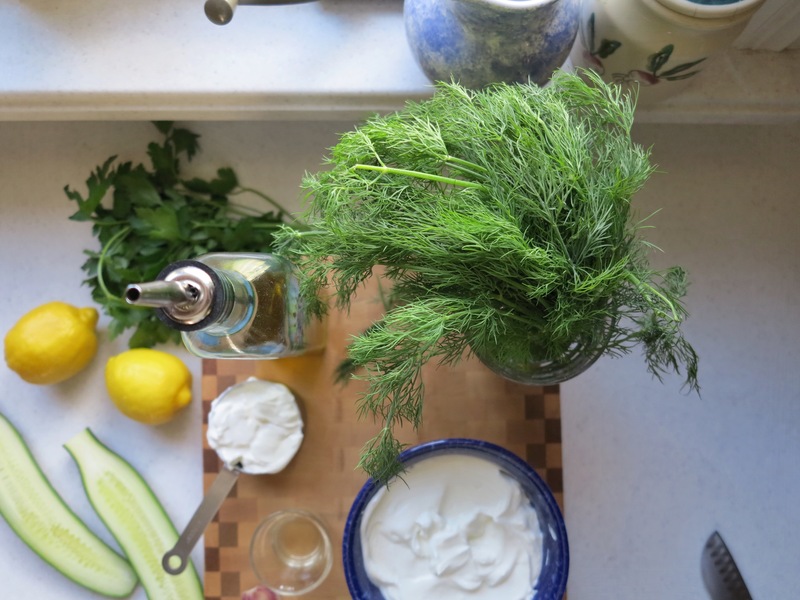 In a small mixing bowl, add the sour cream, the vinegar, lemon juice, olive oil, dill, parsley, garlic, remaining salt, and pepper. Mix it all together and place in refrigerator. 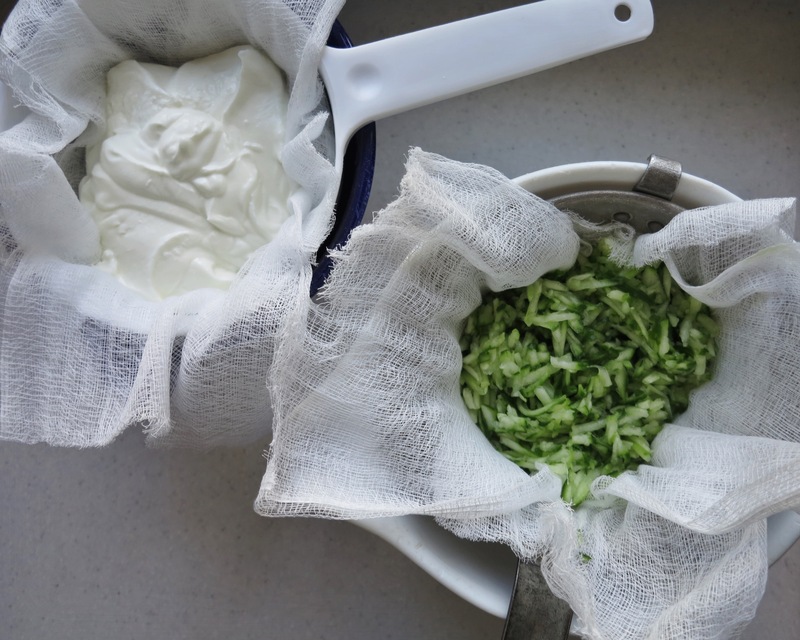 When the yogurt and cucumber are finished draining, transfer both to large mixing bowl. Add the sour cream mixture and mix everything together. 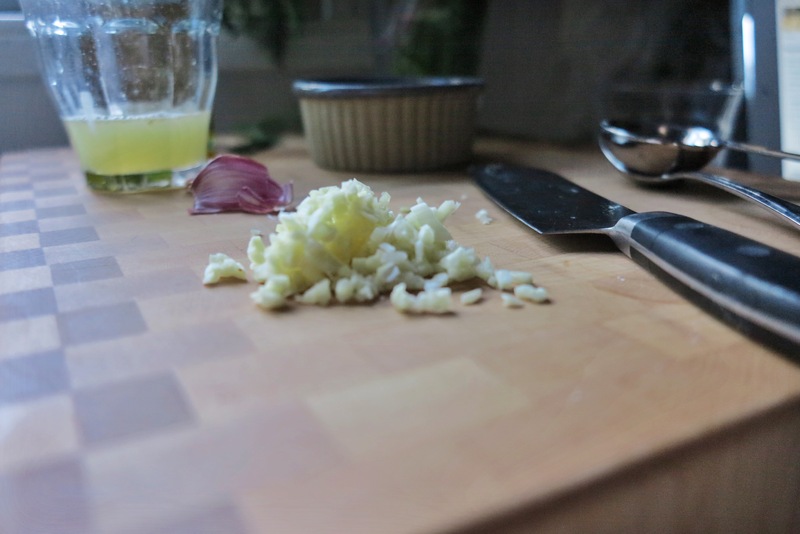 You can serve it right away, or put it back in the refrigerator to let the flavor develop even more. 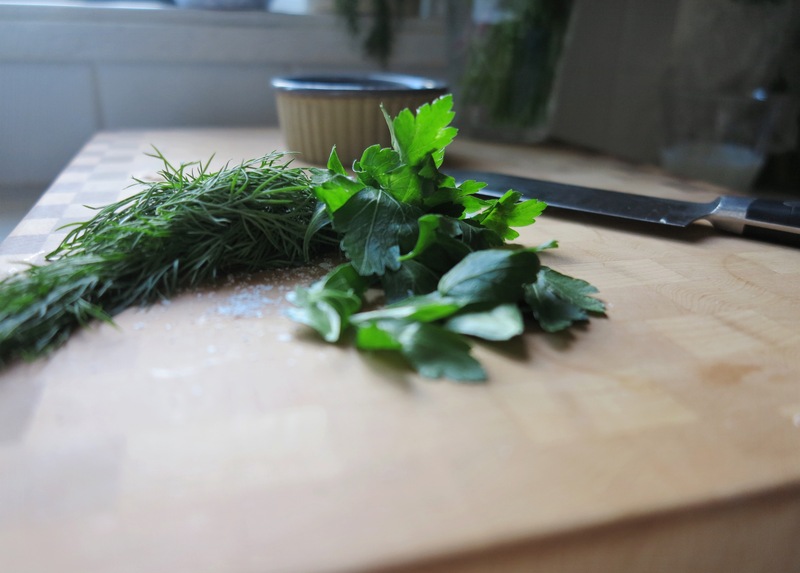 When you are ready to serve, drizzle with a little more olive oil and more herbs if you’d like. Dig in! thanks, deanna! 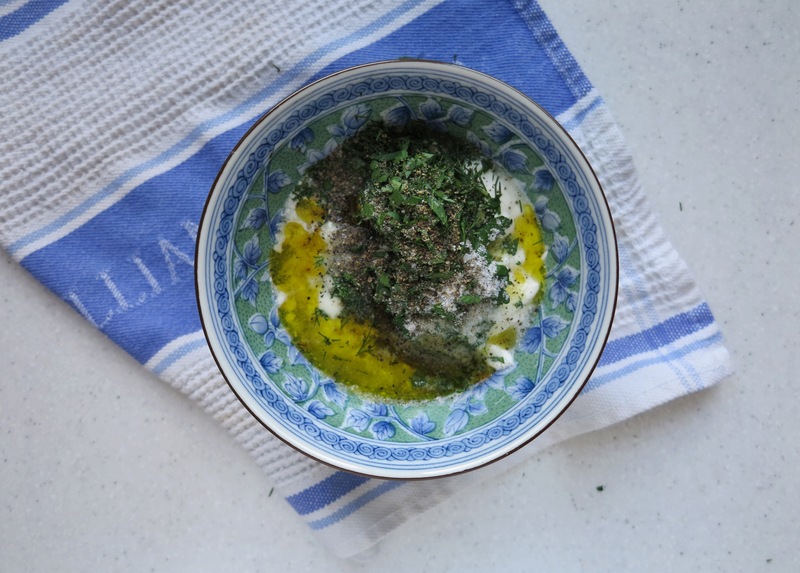 now i’m just imagining digging into some tzatziki followed by your easter cake! oh goshhhhh that’d be perfect.